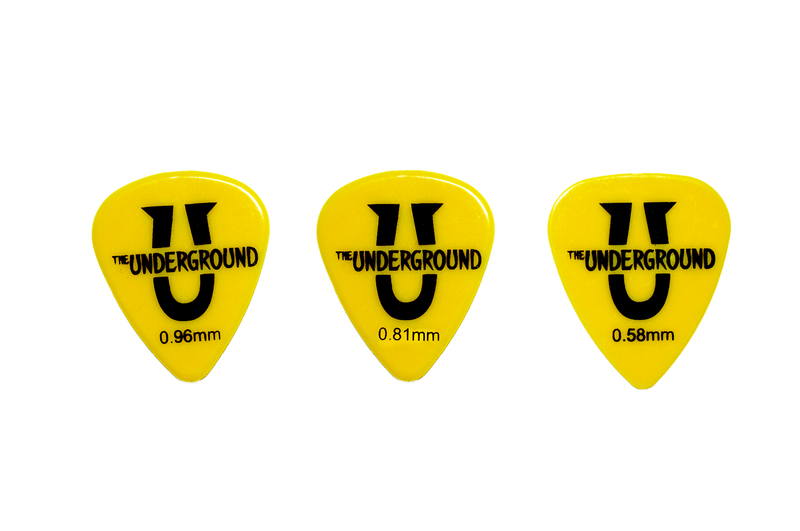 Yellow Guitar Picks with The Underground Logo for the budding guitar hero. 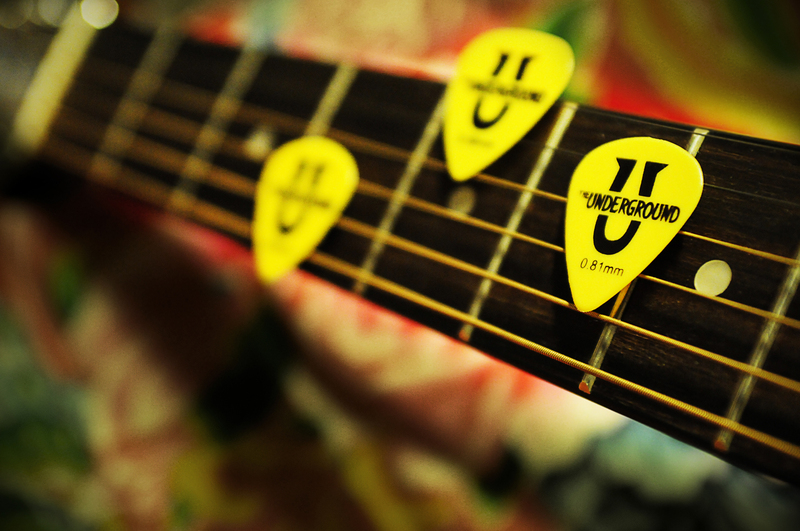 Bring along a piece of us with you whether you’re rehearsing your new song in the band room or rocking out at your next gig! Comes in three sizes: 0.96mm, 0.81mm, 0.58mm.